Mouse anti respiratory syncytial virus fusion protein antibody, clone RSV3216 recognises an epitope within the RSV fusion protein (46 kDa and 22 kDa s-s linked glycoprotein).  Mouse anti respiratory syncytial virus fusion protein antibody, clone RSV3216 can be used in IFA studies in conjunction with MCA491G (clone RSV3132). Bovine RSV strains: 127, SNK and 9007. Human RSV strains: Long, Randall, 8/60, and A/2. 1Suitable as capture reagent with MCA491 as detection reagent in sandwich ELISA (See Adams et al. 2010 for details). Mason, S.W. et al. (2004) Polyadenylation-dependent screening assay for respiratory syncytial virus RNA transcriptase activity and identification of an inhibitor. Nucleic Acids Res. 32 (16): 4758-67. Adams, O. et al. (2010) Palivizumab-resistant human respiratory syncytial virus infection in infancy. Clin Infect Dis. 2010 Jul 15;51(2):185-8. Eckardt-Michel, J. et al. (2008) The fusion protein of respiratory syncytial virus triggers p53-dependent apoptosis. Kolokoltsov, A.A. et al. (2007) Small interfering RNA profiling reveals key role of clathrin-mediated endocytosis and early endosome formation for infection by respiratory syncytial virus. Riffault, S. et al. (2006) Replication of bovine respiratory syncytial virus in murine cells depends on type I interferon-receptor functionality. J Gen Virol. 87: 2145-8. Schlender, J. et al. (2005) Inhibition of toll-like receptor 7- and 9-mediated alpha/beta interferon production in human plasmacytoid dendritic cells by respiratory syncytial virus and measles virus. J Virol. 79 (9): 5507-15. Schlender, J. et al. (2003) Respiratory syncytial virus (RSV) fusion protein subunit F2, not attachment protein G, determines the specificity of RSV infection. Zimmer, G. et al. (2005) A chimeric respiratory syncytial virus fusion protein functionally replaces the F and HN glycoproteins in recombinant Sendai virus. Zimmer, G. et al. (2003) Virokinin, a bioactive peptide of the tachykinin family, is released from the fusion protein of bovine respiratory syncytial virus. J Biol Chem. 278: 46854-61. Riffault, S. et al. (2010) A new subunit vaccine based on nucleoprotein nanoparticles confers partial clinical and virological protection in calves against bovine respiratory syncytial virus. Yunus, A. et al. (2010) Elevated temperature triggers human respiratory syncytial virus F protein six-helix bundle formation. Zimmer, G. et al. (2002) Cleavage at the furin consensus sequence RAR/KR(109) and presence of the intervening peptide of the respiratory syncytial virus fusion protein are dispensable for virus replication in cell culture. J Virol. 76 (18): 9218-24. Adams, O. et al. (2013) Genetic analysis and antigenic characterization of human respiratory syncytial virus group A viruses isolated in Germany 1996-2008. Virus Genes. 47 (2): 210-8.
Zimmer, G. et al. (2001) Proteolytic activation of respiratory syncytial virus fusion protein. Cleavage at two furin consensus sequences. J Biol Chem. 276 (34): 31642-50.
Zimmer, G. et al. (2001) N-glycans of F protein differentially affect fusion activity of human respiratory syncytial virus. J Virol. 75 (10): 4744-51. Shaw, C.A. et al. (2013) The role of non-viral antigens in the cotton rat model of respiratory syncytial virus vaccine-enhanced disease. Sandhu, J.S. et al. (2000) Oral immunization of mice with transgenic tomato fruit expressing respiratory syncytial virus-F protein induces a systemic immune response. Transgenic Res. 9 (2): 127-35. Hägglund S et al. (2014) Characterization of an experimental vaccine for bovine respiratory syncytial virus. Clin Vaccine Immunol. 21 (7): 997-1004. Hervé, P.L. et al. (2016) RSV N-nanorings fused to palivizumab-targeted neutralizing epitope as a nanoparticle RSV vaccine. Fleming, E.H. et al. (2006) Respiratory syncytial virus F envelope protein associates with lipid rafts without a requirement for other virus proteins. J Virol. 80 (24): 12160-70. Wong TM et al. (2014) Respiratory syncytial virus (RSV) infection in elderly mice results in altered antiviral gene expression and enhanced pathology. PLoS One. 9 (2): e88764. Bird, G.H. et al. (2014) Mucosal delivery of a double-stapled RSV peptide prevents nasopulmonary infection. J Clin Invest. 124 (5): 2113-24. Sampayo-Escobar, V. et al. (2018) Osteopontin plays a pivotal role in increasing severity of respiratory syncytial virus infection. PLoS One. 13 (4): e0192709.